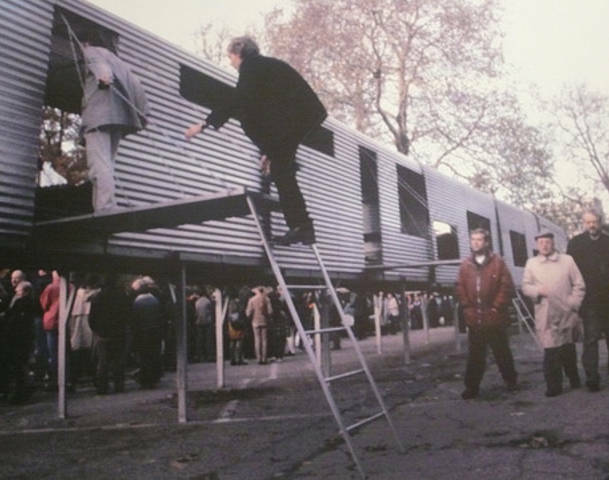 The artist built portable housing that can be replicated to become an entire 'city'. 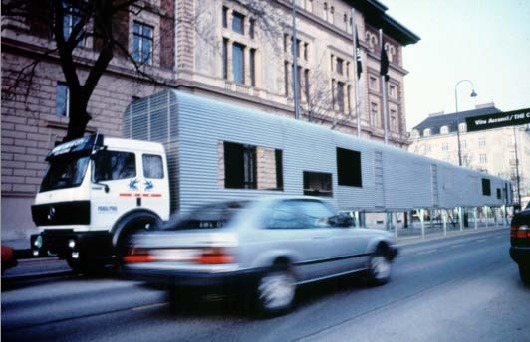 A semitrailer truck carries six self-contained housing units that can be telescoped down into one compact module for hauling, to be set up wherever housing is needed. Inside each house, the wall panels can turn down to form a table, a bench, a bed and a shelf. There are five living units, each essentially a studio apartment with the unit housing shared utilities.